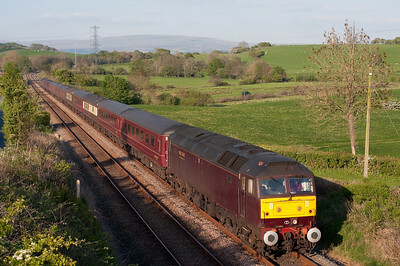 A Carnforth-Ely empty stock move hauled by 47760 passes Paley Green 8/4/11. 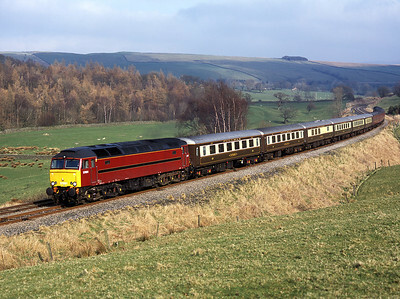 A Carnforth-Bridlington empty stock passes Kettlesbeck top and tail with 47804 and 47786 on Royal wedding bank holiday 29/4/11. 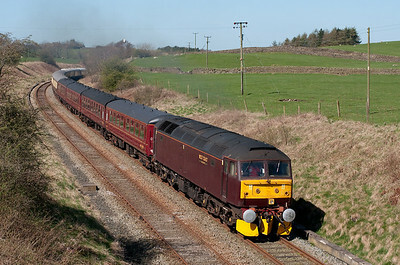 47804 passes Keer Holme with empty stock from Doncaster-Carnforth 3/5/11. 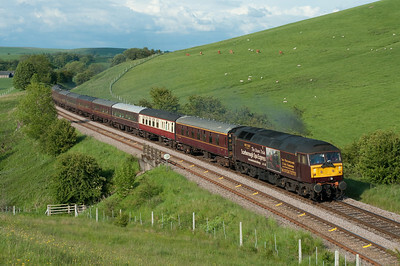 47760 hauls empty stock from Carnforth-Saltburn at Keer Holme 14/7/11. 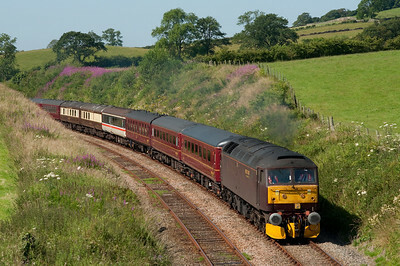 47580 "County of Essex" passes Keer Holme on empty stock from Norwich to Carnforth with 47851 on the rear 10/7/11. 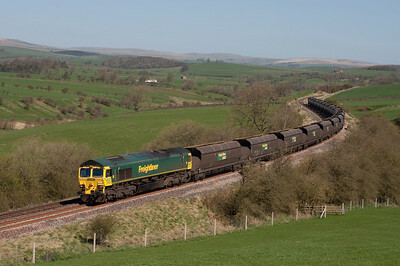 66523 hauls a coal train near Newsholme 8/4/11. 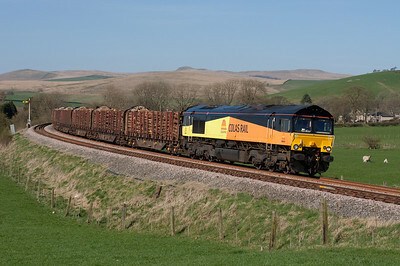 66845 departs Hellifield towards Clitheroe with the Carlisle-Chirk logs 8/4/11. 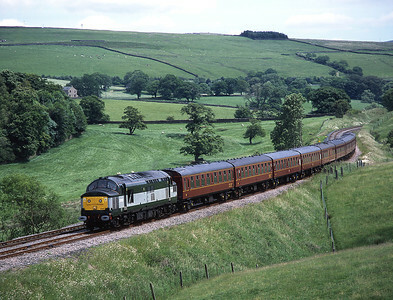 A return Leeds-Glenrothes SRPS charter passes Otterburn on 11/6/11 hauled by 47826 in its Scarborough Spa Express advertising livery. 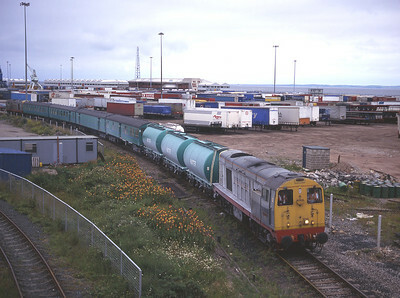 20902 hauls a weedkiller train away from Heysham harbour with 20903 on the rear 14/7/96. 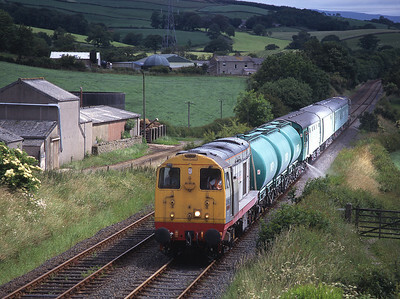 20902+20903 top & tail a weedkiller train at Keer Holme on a Sunday morning run to Heysham, Settle Junction and Barrow 14/7/96. 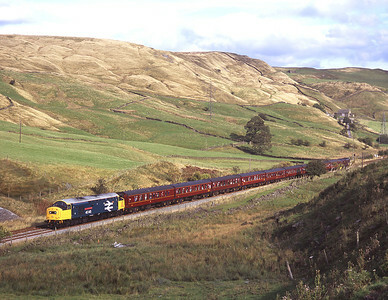 D172 "Ixion" makes a fine sight near Giggleswick with a Keighley-Cardiff charter 4/8/01. 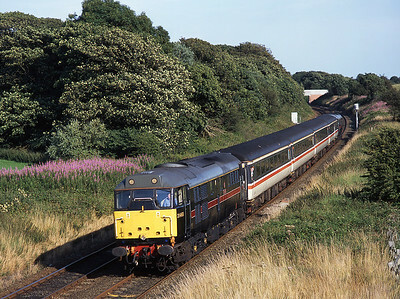 31468 hauls a Blackpool North bound club train at Weeton with 31459 on the rear, 30/7/04. 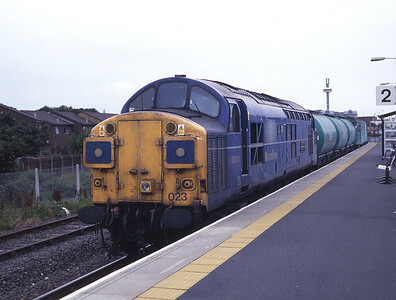 37023 stands in the Heysham platform of the new Morecambe station with the weedkiller train 16/8/98. Out of sight at the rear is 37114 which has just derailed on the sprung points for the run round loop! 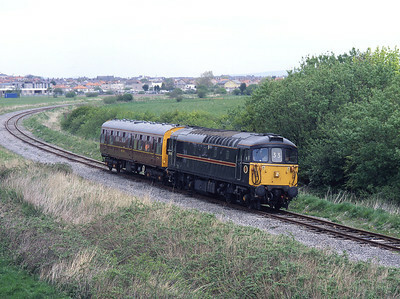 33108 hauls an inspection saloon between Morecambe and Heysham 7/5/02. 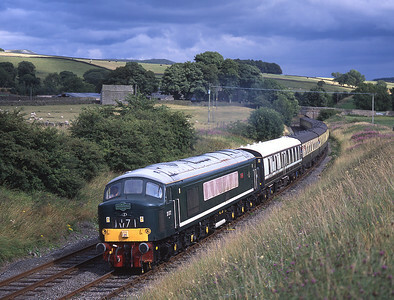 Unique liveried 37197 hauls a York-Carnforth empty stock move through the lush summer greenery at Eldroth 13/6/04. 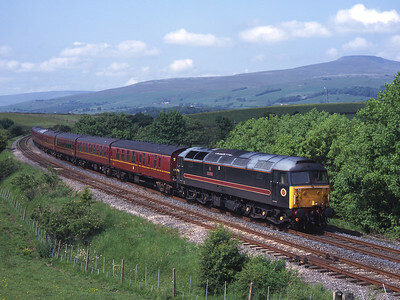 Former shove duff 47709 "Dionysos" passes Kettlesbeck with a Carnforth-Heaton empty stock move 7/6/03. 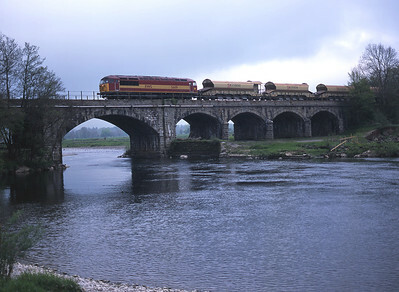 A very rare sight on the Little North Western on 8/5/02 was 56119 with a ballast train, seen crossing the river Lune at Arkholme. 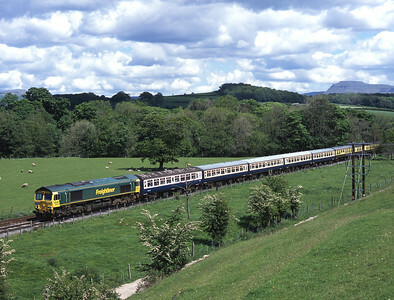 With Ingleborough in the distance, 66608 hauls a Reading-Heysham-Preston tour near Wennington on bank holiday Monday 30/5/05. 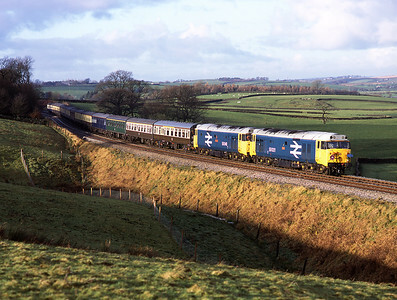 Tragically missing the sun, 45112 hauls 37197 and empty stock from Barnetby-Carnforth past Eldroth 20/3/05. 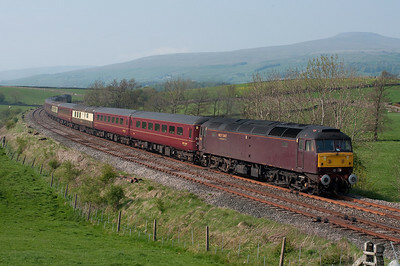 An hour after the peak passed, 57601 hauls another ECS from Sandy-Carnforth with 47854 on the rear. 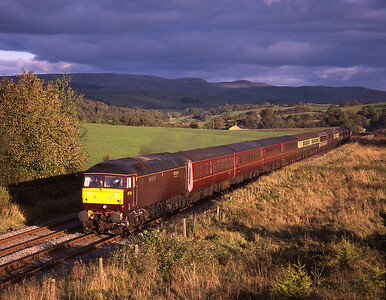 47826 "Springburn" hauls empty stock from Ferme Park-Carnforth near Giggleswick with 47851 on the rear 24/9/06. 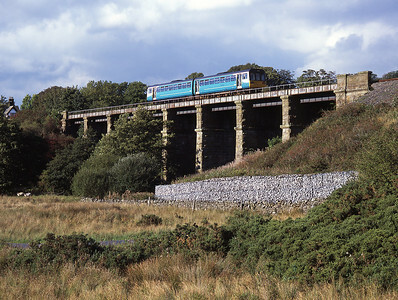 A class 142 DMU crosses Clapham viaduct with a Leeds-Morecambe service 24/9/06. 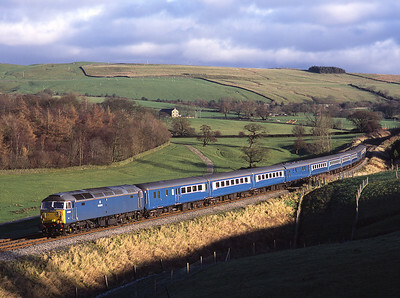 47709 and 47712 top and tail a Skipton-Preston Blue Pullman empty stock working at Eldroth 16/12/06. 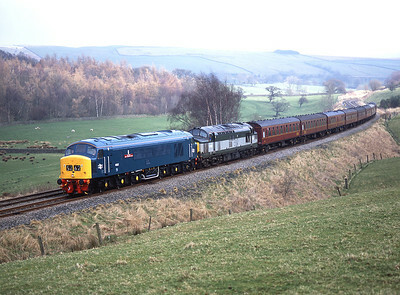 50031+50049 pass Eldroth with a Cardiff-Leeds railtour 16/12/06. 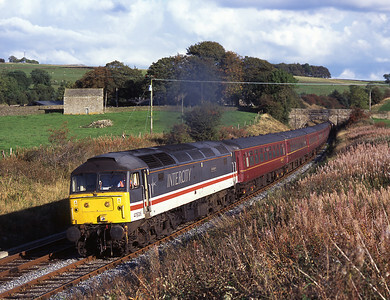 40145 passes Copy Pit with the "Buxton Forester" railtour 15/9/07, with 37248 on the rear. 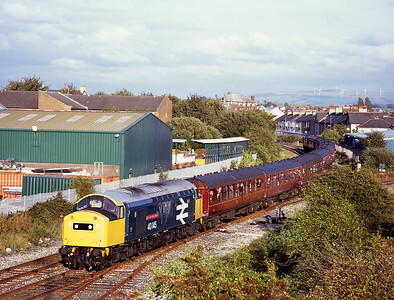 40145 approaches Morecambe with the "Buxton Forester" tour 15/9/07. 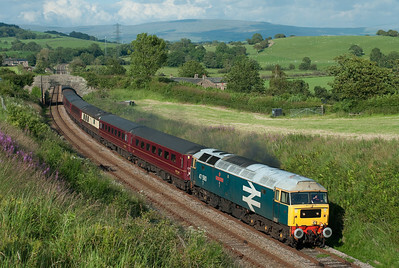 It was originally advertised to continue to Heysham, but unfortunatley this was not to be. In stupendous lighting 47786 "Roy Castle OBE" heads a Norwich-Carnforth empty stock working towards Clapham with 47851 on the rear, 5/10/08. 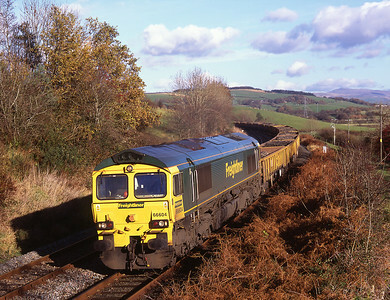 66604 hauls a Horrocksford-Basford Hall spoil train near Borwick 12/11/08.